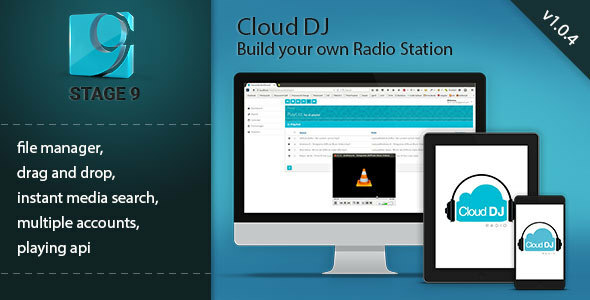 Cloud DJ is a Web Player for Icecast streaming media server. This web app generate an xml file used by Icecast server with write permission only for the owner of the web app. We use a Ezstream application how read this file and start Icecast media server. This application work only on Ubuntu Servers, with Icecast2 and Ezstream applications installed. After install this application, you need to restrict write mode to playlist (chmod 644 playlist.xml), otherwise this application does not work. This application work only on Linux servers. We provide step by step install documentation for Ubuntu servers. You can listen on http://stage9.ro:8000/stream using VLC or other application.